Popular veteran Comedian, Alibaba definitely loves to drop gems on his Instagram page and in a new post decided to share his interesting thoughts on emotionally immature people. AVOID PEOPLE WHO ARE EMOTIONALLY IMMATURE. You will be suffering from their immaturity and not know it. Sometime ago, a guy sent me a message, “Ali you have forgotten your friends. No calls. Na only television I dey see you. God dey sha”. I am supposed to now feel very sorry and begin to call him daily Abi? Very often you come across these emotional blackmail and it doesn’t hit you like its blackmail. “I thought we were friends, you didn’t invite me for your party”. “So you think I am not GOOD enough for you?”… the thing with emotional blackmail is that it hinges the relationship on a single issue. Issues that usually cannot weigh on the same scale as everything thing else you have between you. You rent a house for a babe and furnish it. Then one day, because of busy schedules or some other things, you couldn’t call to wish her happy birthday, she flings the blackmail, “So I am not important again Abi?” Some people set themselves up. What if the guy was working to make you more important? 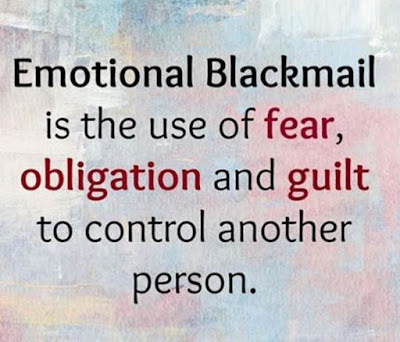 Anyway, people who use this blackmail technique, have probably done it over a long period of time and have come to see that it’s a very effective tool. So they bank on its efficacy in all relationships. Little do they know that they are just exhibiting emotional immaturity. What is not coming to pay you a visit, got to do with the love she has shown you for over a year? Because she didn’t return your call, she doesn’t love you anymore. So returning a call has more weight in the equation of your relationship when stacked against sleeping with you? C’mon naaaa!!! The way I see these things may be different. 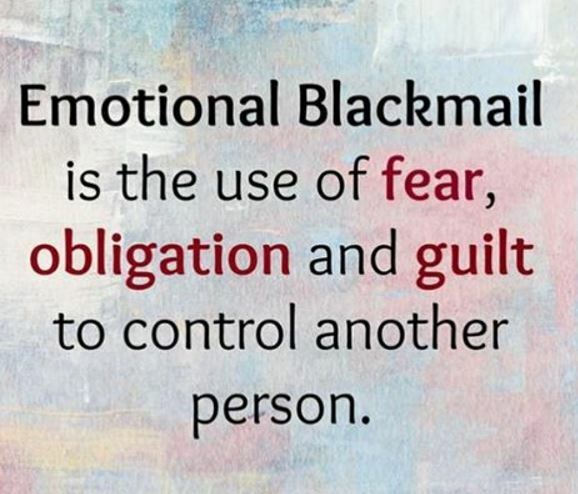 But trust me, when I smell emotional blackmail, something inside me switches off.